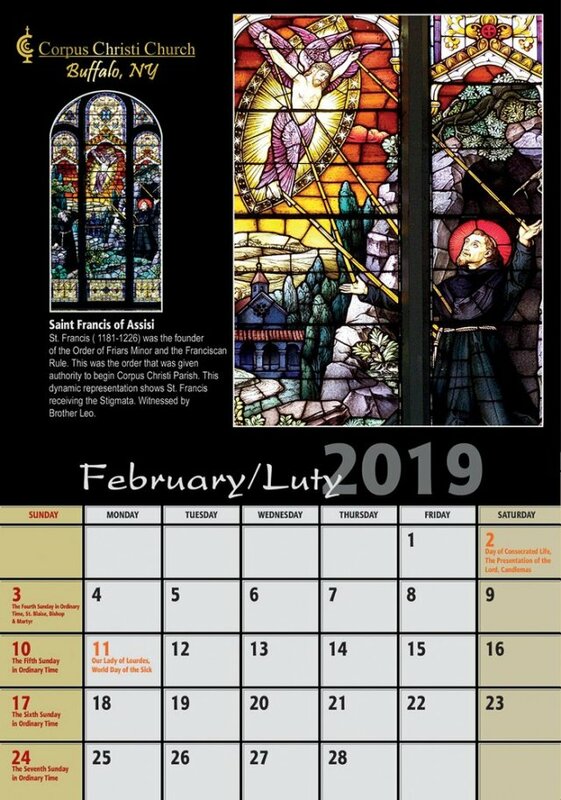 Corpus Christi Church is selling 2019 calendars as a fundraiser for their church. 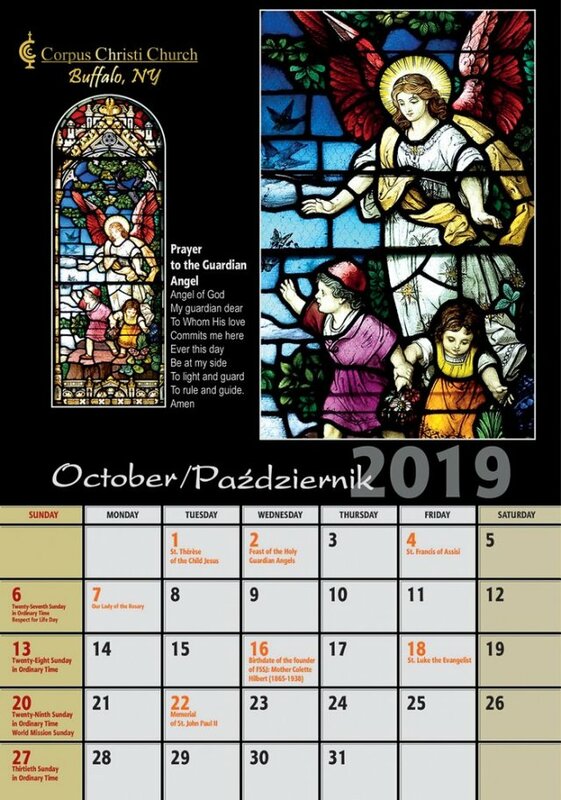 The calendars include photos of beautiful stained glass windows and other images of the church. They are professionally printed. 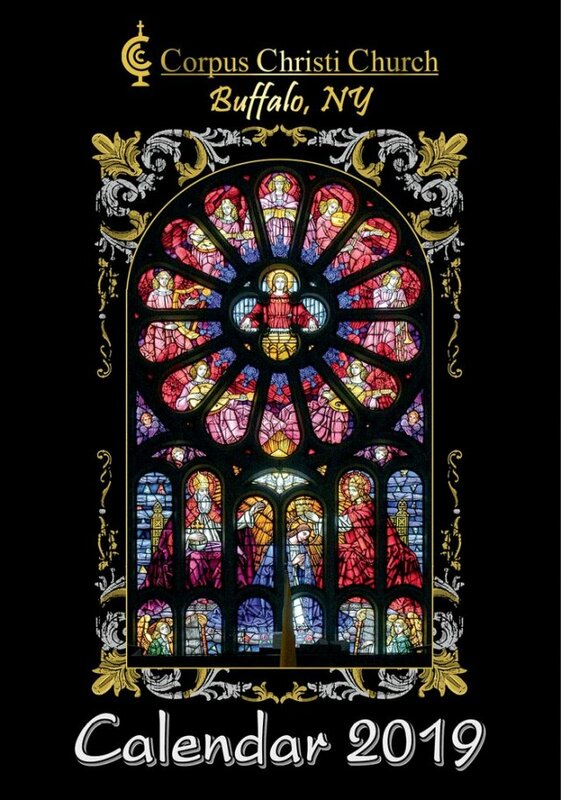 Whether you want one for yourself or want to give as a gift for your friends or family, your purchase will go towards helping Corpus Christi Church. 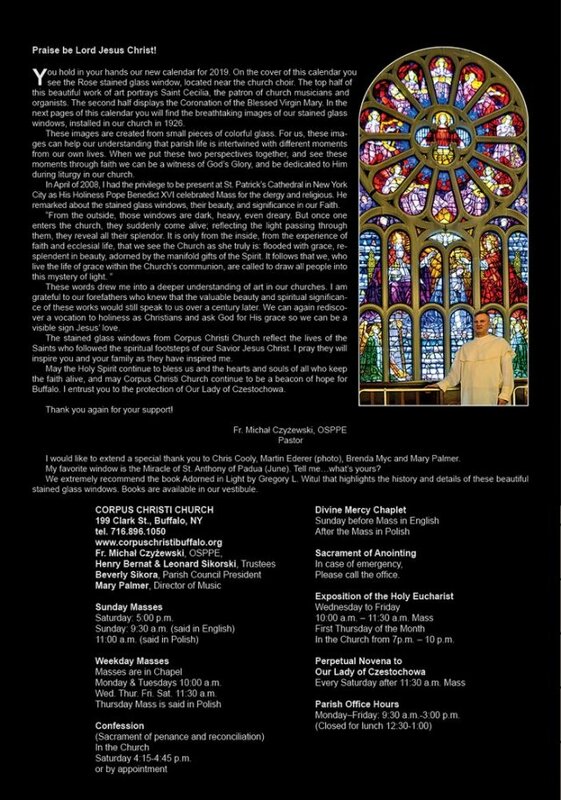 If you have any questions, please call the rectory at 716-896-1050.